Most car people have a story of “the one that got away.” That special car or truck you had when you were young or one you were forced to sell due to finances. Some people spend years searching for their long-lost rides. Scowering the internet, using the VIN number to try and trace the ownership history, chasing down leads that are eventual dead ends. 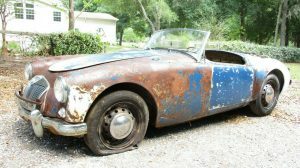 Others resign themselves to the fact that they will never be able to buy the actual car they loved and end up buying or building a replica to gain at least some connection to their former love. This is the story of a man that wasn’t necessarily looking for a specific car, but what he stumbled on would change his family forever. 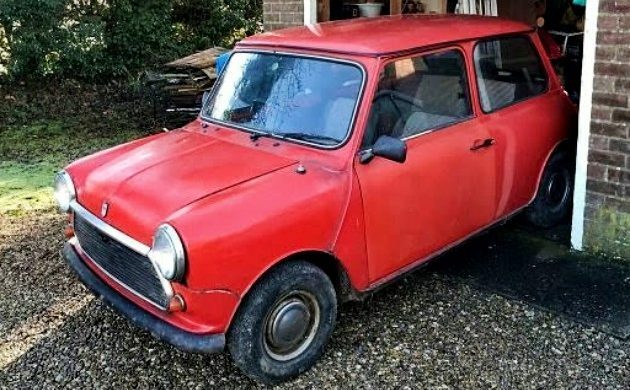 Daniel Fox is a British automobile enthusiast who was browsing the internet for a Mini Cooper. 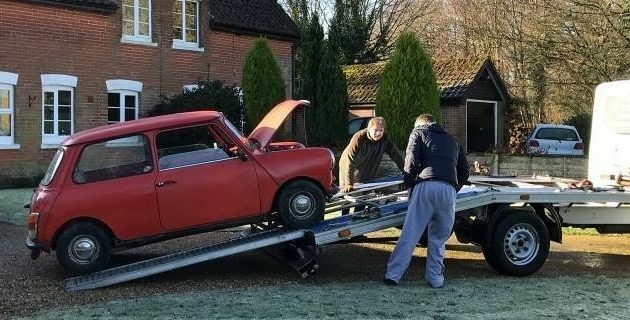 He came across a red Mini that was reportedly stored in a garage for twenty years. As he looked closer, he notices some familiar details. There were a steering wheel and radio that looked similar to the ones that were in his grandmother’s Mini. He looked closer. The numbers on the license plate looked familiar too. He contacted the seller for some more information. It turns out this was, in fact, his grandmother’s car! Fox says he paid “too much” for the car, but he had to have it. He hopes to have it running soon and take part in the 60th anniversary Mini events taking place this year. You can read more about Mr. Fox and his Mini here on FoxNews.com. Good for him finding it. Hope it all works out OK. Thanks for the great story! Maybe there is hope….. The last time I seen that rig it was hangin’ on the end of a large steel magnet heading for the shredding machine. But keep your dreams alive – mine of 61 years is ready to give in to her LBD. Won’t eat, won’t drink, can’t sleep, thinks everything is poisoned. My unfulfilled dream is a ’58 Frogeye Sprite built to Sebring Stage 5 specs – we used it as our honeymoon rig in 1961! Hey JameS. Check it the Fort Worth Craigslist. Type in Torino in the auto section. I believe it’s listed as a 70 Torino GT. It orange and a wagon. Who knows. Thanks, saw that one. Gave me pause, but ours had the dual open tailgate. Funny, the things we remember from our teenage-hood! I hear you. I thought it was funny that I saw that car almost a month ago and took a screenshot for some reason. I hope you you find your car sometime. Back in the late 1980s I bought a ’65 Marlin from a guy in Delaware, which I still have though it is currently up on stands with a leaky automatic transmission. Until my purchase the car had been in the same family since new. Anyhow, quite a few years ago the former owner wrote to the AMC Rambler Club asking if anyone knew where the car was and the letter was published in the newsletter. Unfortunately the provided email address did not work and the editors were not able to give me any more information on how to contact him. I still wonder if he’s out there somewhere trying to find the car. When I still worked for my Dad’s body shop, sometime around 1985 I bought a 51 Chevy 5 window from a estate sale in Benton, Missouri, I paid $2200. and actually drove it on the trailer. I got it home and parked it out back in an old barn on my property, and was trying to decide when I would start working.I ever thought about it at the time but my Grandfather, who had owned a farm for 55 years outside of East Prairie, which is about 45 miles from Benton. Well a few day later, Grandpa was over at Dad’s shop one day shooting the bull, when I mentioned that I had bought a 51 from down at Benton, Grandpa said he had owned a 51 for about 10 years, that it had been the first new farm truck he had ever owned, that it was Green, the only thing he remember doing to it was he had replaced the engine and the dealer put in a 235 sometime in the late 50’s. Well anyway a few weeks later Grandma called me and said that her and Grandpa had been talking about the truck that they owned, and that she found the paperwork for their truck. She asked me if I wanted it because one of the other things I collect is old paperwork from before 1970, there is just something about it. I like to frame them and I have a collection on a wall in my shop. 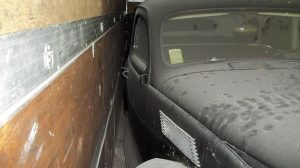 Well anyway I got to checking the paperwork that the guy from Benton had given me and found out that the truck had been bought used in 1970 from Stevens Chevy, in La Center, KY, who had used it as a shop truck for years and then a showroom truck for years, that they had it from 1961 until sold,. This was the same dealer that my Grandfather always used, so I was talking about it again one evening during a family dinner, and Grandpa said that it could be his old truck, because he remember that his old truck was used by Stevens as a shop truck for years. So that evening I went home found the paperwork that Grandma had given me, and sure enough I had bought my Grandfather truck. I moved another project out and started on the truck, before my Grandfather passed away in 1990, we went for a drive in it and he loved every minute of it. I even drove it down to East Prairie for his funeral. I still have the truck and it is still on the road, but only on very pretty days, I did take it on a RT 66 cruise all the way to Glenrio TX in 2016. Couple of day wished it had AC, but that old 235 did just fine pulling our popup camper we towed. I attached an older picture of it, I taken not long after I had gotten it back on the road. 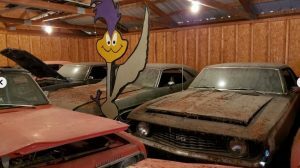 Big Mike, that is the kind of story, that makes the automotive hobby great. A shared connection to your grandfather with a vehicle he used to own. I would love to go to my uncles farm, and retrieve my grandfathers 1966 International Harvester Pickup, and do a full resto-mod with a modern drive train on it. 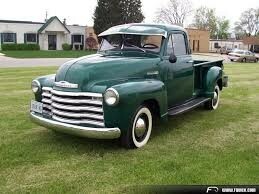 Maybe a nice Vortec 4.3 litre V-6 and 4L60E trans. Some pretty awesome stories guys thanks much for sharing, there are some truly amazing ones out there! In Potomac, Maryland, there was a car collector friend of mine known as “Buzzy” Potter, who rarely ever sold anything of value. In 1931 his father presented him with a new Essex Roadster as a present for graduating college. In 1935 he traded the Essex in on a new Ford Deluxe Phaeton, a car that he still had when he passed away. The Essex was the only car he ever got rid of. In the late 1990s, he was looking thru Hemmings Motor News and spotted an ad for a 1931 Essex Roadster and went to look at it. Of course it was his car! He had brought along the original registration papers for the car, and the VIN matched. 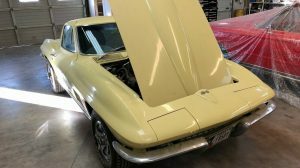 He had also saved the original 1931 Maryland license plates off that car, along with a photo of him standing next to the car’s grill, displaying that plate number. And yes, he bought the Essex for a second time. He used to bring the Essex to local car shows and display a panel on the front seat, with all the original 1931 papers & photos. And of course he had registered the original 1931 plates again so he could legally drive the car on those plates. And just a little aside comment; He had a voice and accent that mirrored W. C. Fields. Really! Buzzy was a good friend, and I still miss him.